The CarbookPlus Team is ready with a whole set of new features and is looking forward to present its IOT solution at the upcoming 25th edition of Asia IoT Business Platform, that will be held in Jakata on 28 – 29 April 2018 at the Ritz Carlton. See how you can benefit from the wide range of services we offer across the automobile spectrum – for drivers, vehicle owners, fleet managers, vehicle dealers, workshops and insurance companies. The innovative solution was developed with the bigger goal of establishing an independent, community platform that brings together vast amounts of all vehicle related data, to generate new value and knowledge form this data, for every possible service, that can benefit everyone. Drivers and vehicle owners manage their vehicles, compare costs and eco efficiency, and buy products in an informed manner. We are happy to announce the release of the new version of our CarbookPlus Fleet software (v 1.8.0) and this in parallel with our redesigned vehicle App, available as a free download. Fleet managers can register / login to our fleet application to access their own Admin console for managing their fleet operations. 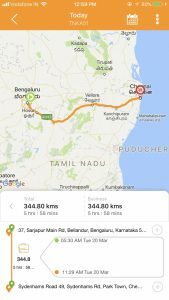 Drivers can independently install the App on their Smartphones to track and record trips, enter expenses, and manage vehicle related data. User friendly central console for managing all the fleet operations, in web and on mobile. Vehicle management – for an individual fleet or multiple fleets in case of large organizations. Team management – invite members to join the fleet – be it drivers, managers or accountants. Live tracking and monitor fleet drivers and vehicles – get real time alerts to make the right decisions, to know which vehicle/driver is idle. Manage all vehicle related expenses – fuel costs, servicing, tolls, parking, insurances, etc. Maintain logbooks of the individual vehicles – for tax and accounting purposes. Set up geo fences for vehicles and know when the defined geo boundary is violated. Set up reminders for vehicle servicing and insurance renewals. Intelligent data analytics reports to further optimize utilization and reduce costs. 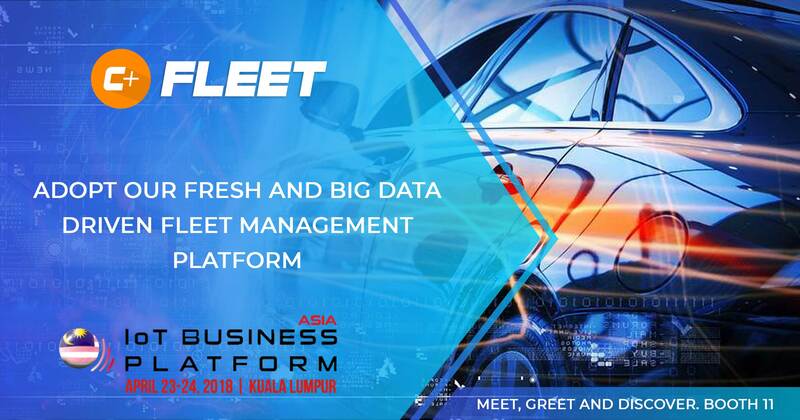 CarbookPlus Fleet Mangement Team is excited to showcase its innovative, cloud based, telematics Fleet Management solution at the upcoming 21st edition of Asia IoT Business Platform, that will be held in Kuala Lumpur on 23 – 24 April 2018 at Hotel Istana. The solution is designed so that it can be customized for the unique requirements of each Fleet business – be it for Car rental firms, Cab/Taxis, school buses, corporate vehicles, police department, or public bus agencies – see how you can improve utilization and overall efficiency, minimize risks and reduce costs. “Automotive OEMs need to be broad minded and create a democratized space for innovators to create connected vehicle solutions. 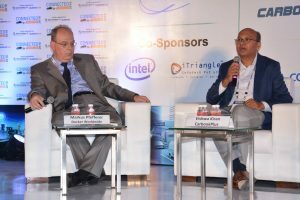 It’s just a matter of time until we see fleet management software’s is driven by AI and data”, Vishwa Kiran, CEO CarbookPlus emphasized at the panel discussion, held recently during the Connected Vehicles, 2018 event. 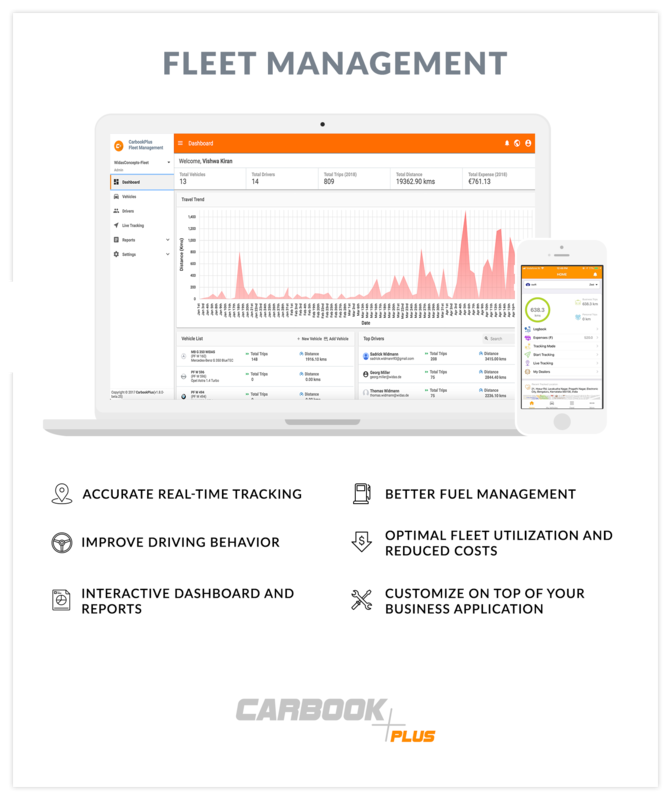 We are happy to introduce a complete redesign of the Logbook, the enhanced tracking functions and improved UX – the CarbookPlus team is proud to announce the latest updates to their cloud-based, vehicle telematics App. After feedback from users, we changed the design of the key logbook screens and also got rid of the whole review step within the app, with the new release. With over 8000 installations and many a satisfied customer, we want to expand our services to fulfil our vision of accomplishing a complete vehicle management platform and community. The new features are released for both Android on Playstore (v 0.3.2) and iOS on Appstore (v 4.3.9). All the tracked trips are shown on a day to day basis, for easier readability. We no longer have the unreviewed trips section, because we now allow all edits directly on the Logbook screen. There is an option to view the Logbook summary that shows the overview of all the trips for the year, in terms of distance travelled in a month or the number of trips made and time taken. For the detailed screenshots of the Logbook functionality, click here. Tracking with the CarbookPlus OBD device: When it comes to identifying trips, this is the predictable and most reliable. Please note: any other OBD device is not compatible with the CarbookPlus App. You may order your CarbookPlus-OBD device online. Manual Tracking: Option that relies on manual intervention for starting and stopping trips. Automatic tracking: Relies on the mobile phone sensors or Bluetooth mechanism to track trips. For configuration details: Tracking Settings. We continue to thank all our users whose feedback has helped us achieve a more Robust App and welcome any and all feedback going forward too. Chat with us or raise priority tickets via support. Download the carbooplus app now! and happy tracking! Mr. Widmann, there are many digital logbooks out there. Why should customers choose CarbookPlus? Because users with CarbookPlus can evaluate vehicle costs, fuel consumption or driver statistics in real time. And we also offer tools for companies – such as vehicle reservation system for fleets, driver assignment, route planning and optimization, and other reporting capabilities. That is to say, CarbookPlus is a modern fleet management solution for SMEs? Definitely. From discussions with SMEs we know that many fleet vehicles are not well managed at all or have bare minimum tools. Here, we not only offer an efficient and highly professional solution, it is also free for drivers and companies. How does CarbookPlus finance itself when it’s free for drivers and businesses? From the contribution that providers pay for additional services and interfaces to workshops, insurance companies, automotive dealerships or gas stations. This is also a real value add for the drivers and fleet managers, because they not only navigate to the nearest, cheapest petrol station or workshop, but also receive direct help from our app in the event of a breakdown or accident, or even handle the communication with the insurance company. Do you think that such a platform solution will in fact succeed? We are absolutely convinced. Because for drivers and fleet managers, the ease and comfort increases significantly. All you need is an app to centrally manages all your data, including receipts, invoices, and services. The added value for the service providers is high, who can communicate so directly with their respective target groups and potential new customers. A classic win-win scenario. Wimsheim, 24. 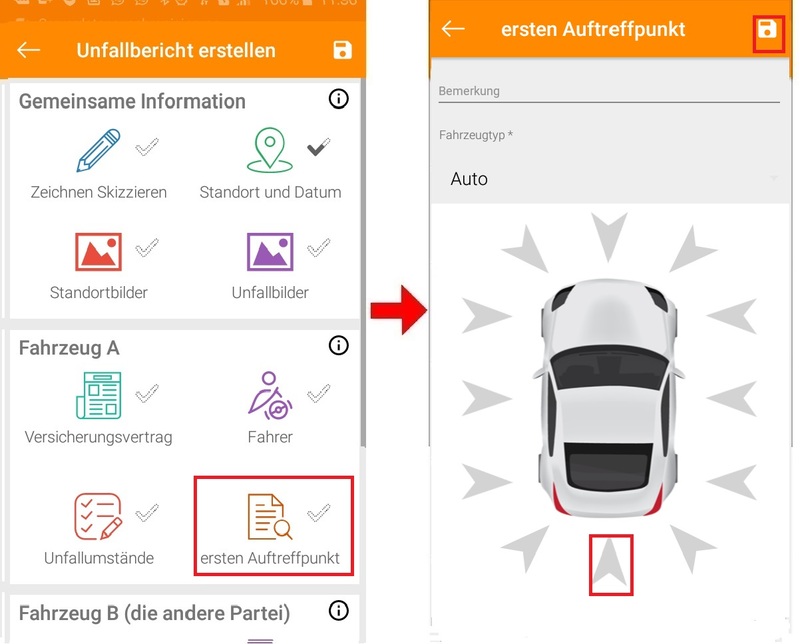 October 2017 The free cloud-based app from CarbookPlus fully and independently automates all the procedures, that Fleet managers have to keep an eye on: It captures the relevant data so as to save time, analyzes it and enables a comprehensive view of individual vehicles or the entire vehicle fleet in real-time. Through networked data and service-offerings, optimization potential can also be unfolded even in small and medium fleets. In particular, fleet managers face a multitude of challenges in the efficient use of pool vehicles. Even in smaller car fleets, it is demanding to record the utilization and current position of the automobile as well as its technical condition as up-to-date as possible. Vehicle bookings must be managed, drivers assigned and all movements of the vehicles documented. 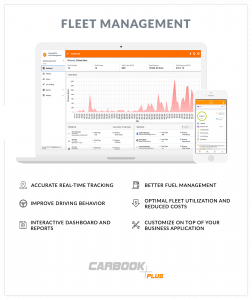 CarbookPlus provides fleet managers with a handy ergonomic tool that combines all relevant information into a free app. Moreover, with an integration option for dealers, workshops and insurance companies, as well as digitally archivable and always readily accessible vehicle documents, every driver is well taken care of. Everything in sight – Everything under control. Using an interactive dashboard, fleet managers assemble and monitor their fleet. The integrated service plan ensures optimum fleet utilization and efficiency: Using Live-status, it informs fleet managers and drivers about booked and available vehicles. Vehicle reservations for field service, in-house operations or for delivery teams can be carried out with just a few clicks. Each driver will be notified by the app of any allocated bookings and directly lead to the location of the vehicle. Bookings from the applicant can be looked up and canceled at any time in the app. The automatic tracking function using GPS enables the user to create a legally compliant, gapless logbook. Routes and trips can not only be planned, but also tracked and analyzed. Any deviations are marked by the system in order to optimize fuel consumption and the time taken for upcoming trips. Using geo-fencing, the fleet manager is also able to define travel boundaries. The system notifies him as soon as they are violated. 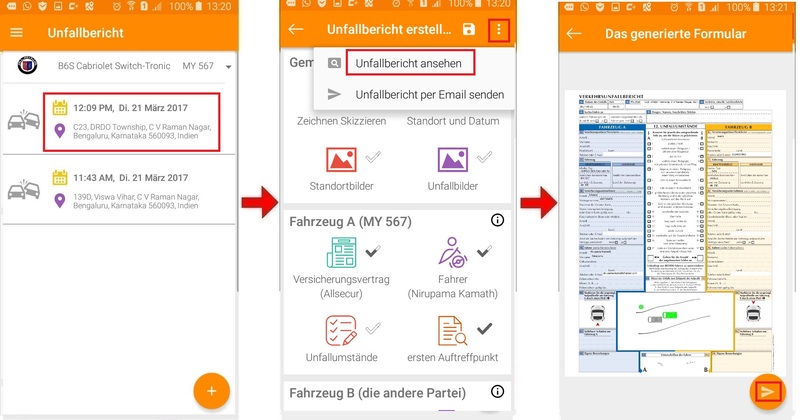 Travel and other costs can be settled promptly and recorded in the company: The required bills/receipts can be automatically read into the system by means of optical character recognition (OCR) and archived. They are forwarded through the app. The system reminds fleet managers of customer service appointments and due insurance premiums, provided, that the workshops, dealers and insurance companies are integrated into the system. In the event of a breakdown or accident, users are not only able to get quick roadside assistance and automatically set off emergency calls. They can also create complete incident reports directly in the app and forward them to the insurance company. The integrated round-the-clock search for suitable workshops and emergency services completes the service offer. For fleet managers, this is another opportunity to reduce the time and cost. CarbookPlus is proud to present its product portfolio at the Telematics India 2017 Conference, West Inn – Pune on 17-18 August 2017. We are looking forward to meeting our potential clientele and partners for collaboration and diversification of our platform for Automobile ecosystem. You are cordially invited to visit us at our Exhibition booth (No 3) and we would be happy to give an introduction and demonstration of our products and services. Cllck here to register. Vishwa Kiran, CEO CarbookPlus, will be discussing Connected Services to Connected World in the panel discussion on day 2 at the conference to give the industry insights on Internet of Things (IoT), Connectivity, Internet of Vehicles (IoV), Connected Platform, Telecom, Shared Mobility, Smart Application, Fleet Service, Connected Solutions, Network for True Connectivity. Wimsheim, 4. April 2017 The connected car platform for vehicles and drivers – CarbookPlus expands its free vehicle management services: It is now possible to forward Incident reports stored in the CarbookPlus cloud servers to the insurance company. As a further step, communication with the customer for dealers and workshops will be possible via the app. CarbookPlus offers its users now the option to record incidents quickly where it occurred: For one, information and photos of the incident can be taken, and then there is the possibility to enter the other party information in order to create a complete incident report. License and insurance information can be comfortably saved via the App. The mobile solution correspondingly pre-populates the fields during the creation of a report. When all the data is entered, the user friendly interface allows the user then to send the report with just a click to the insurance. In the coming months, CarbookPlus also plans to offer a connection to dealers and workshops. This makes communication much easier: the service partners interact directly with their customers – a concept that benefits both sides. Vehicle holders can arrange appointments more quickly or ask for accessories directly. Dealers and workshops, on the other hand, have a suitable tool to approach their clientele in a personalized manner and increase customer loyalty. By bundling all personal and vehicle-related information in real-time, CarbookPlus has proven itself in the field of insurance telematics for pay-as-you-drive policies. The independent and accurate assessment of the mobility behavior serves as an optimal basis for individually tailored insurance rates. Vehicle users are also given an insight into their behavior in road traffic and can thus improve their driving style. Accident damage can thus be actively prevented. The topic of data protection is not neglected. Only the data that is defined in the contract is provided to the insurance company. The CarbookPlus platform CarbookPlus bundles all information – vehicle and driving behavior related in real time. It is a free service with which drivers can manage their vehicles or the entire fleet. The aim is to simplify the recurring activities related to the use of the vehicle. For e.g. : A digital logbook is an integrated feature which can be used for tax saving purposes. Similarly, the search for the best fuel station on the way or to remain connected with the community. Here, one can compare vehicles, insurances, dealers, service stations and can post important tips for the travel. In addition, CarbookPlus enables an independent and accurate assessment of the mobility behavior with respect to the individual and vehicle and therefore serves as the basis for a personalized and usage dependent billing. The collected data could in future be used for Pay-as-you-drive polices in the Insurance telematics. Customers benefit then from the customized tariffs, individually tailored to them. 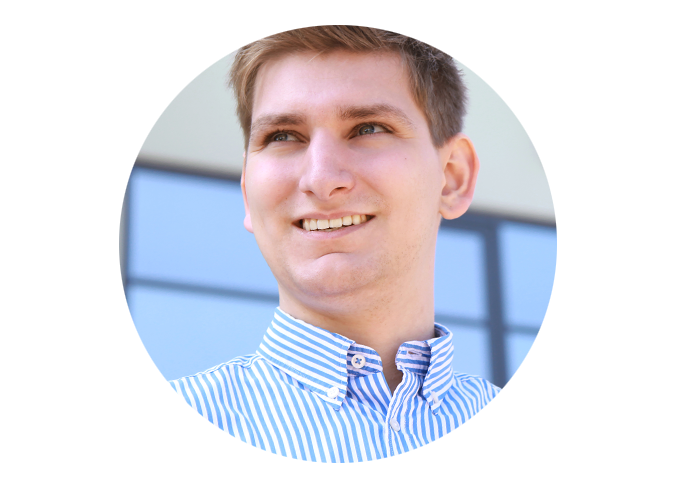 Thomas Widmann stellt presents CarbookPlus and its many advantages at the next meet of the BITKOM’s Big Data workgroup , to be held on the 14th September, 2016 in the Ernst & Young GmbH premises in Stuttgart. 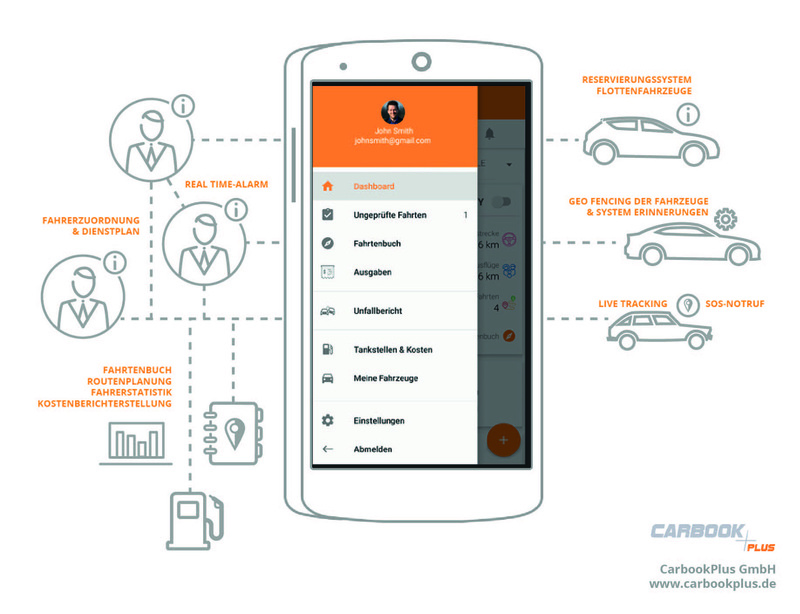 Learn more about CarbookPlus. Get in touch with us. We look forward to hear from you!